Determination of Operation Characteristics of a Synchronous Generator by Static Experimental Tests, ILINA, I.-D., TUDORACHE, T.
Improving Voltage Profile and Optimal Scheduling of Vehicle to Grid Energy based on a New Method, NAZARLOO, A., FEYZI, M. R., SABAHI, M., BANNAE SHARIFIAN, M. B. Back to Basics: Solving Games with SAT, QUER, S.
Location Authentication based on Wireless Access Point Information to Prevent Wormhole Attack in Samsung Pay, RYU, G., SEO, C., CHOI, D.
EMIROGLU, S. , UYAROGLU, Y. , OZDEMIR, G.
This paper proposes a distributed reactive power control based approach to deploy Volt/VAr optimization (VVO) / Conservation Voltage Reduction (CVR) algorithm in a distribution network with distributed generations (DG) units and distribution static synchronous compensators (D-STATCOM). A three-phase VVO/CVR problem is formulated and the reactive power references of D-STATCOMs and DGs are determined in a distributed way by decomposing the VVO/CVR problem into voltage and reactive power control. The main purpose is to determine the coordination between voltage regulator (VR) and reactive power sources (Capacitors, D-STATCOMs and DGs) based on VVO/CVR. The study shows that the reactive power injection capability of DG units may play an important role in VVO/CVR. In addition, it is shown that the coordination of VR and reactive power sources does not only save more energy and power but also reduces the power losses. Moreover, the proposed VVO/CVR algorithm reduces the computational burden and finds fast solutions. To illustrate the effectiveness of the proposed method, the VVO/CVR is performed on the IEEE 13-node test system feeder considering unbalanced loading and line configurations. The tests are performed taking the practical voltage-dependent load modeling and different customer types into consideration to improve accuracy. S. Civanlar and J. J. Grainger, "Volt/Var Control on Distribution Systems with Lateral Branches Using Shunt Capacitors and Voltage Regulators Part II: The Solution Method," IEEE Transactions on Power Apparatus and Systems, vol. PAS-104, no. 11, pp. 3284-3290, Nov. 1985. 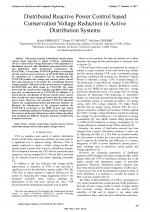 H. Ahmadi, J. R. Marti, and H. W. Dommel, "A Framework for Volt-VAR Optimization in Distribution Systems," IEEE Transactions on Smart Grid, vol. 6, no. 3, pp. 1473-1483, May 2015. S. Singh, A. K. Thakur, S. P. Singh, "Energy savings in distribution network with smart grid-enabled CVR and distributed generation," in Proc. National Power Systems Conference, India, 2016. J. Sandraz et al., "Energy and Economic Impacts of the Application of CVR in Heavily Meshed Secondary Distribution Networks," IEEE Transactions on Power Delivery, vol. 29, no. 4, pp. 1692-1700, Aug. 2014. M. A. Peskin, P. W. Powell, E. J. Hall, "Conservation voltage reduction with feedback from advanced metering infrastructure," in Proc. IEEE Power Eng. Soc. Transm. Distrib. Conf., Florida, 2012, pp. 1-8. R. H. F. Kennedy, Barry W, "Conservation voltage reduction (CVR) at Snohomish County PUD," IEEE Trans. Power Syst., vol. 6, no. 3, pp. 986-998, August 1991. W. Ellens, A. Berry, S. West, "A quantification of the energy savings by conservation voltage reduction," in Proc. IEEE Int. Conf. Power Syst. Technol., New Zealand, 2012, pp. 1-6. A. Bokhari et al., "Experimental Determination of the ZIP Coefficients for Modern Residential, Commercial, and Industrial Loads," IEEE Transactions on Power Delivery, vol. 29, no. 3, pp. 1372-1381, Jun. 2014. D. M. Lauria, "Conservation Voltage Reduction (CVR) at Northeast Utilities," IEEE Power Engineering Review, vol. PER-7, no. 10, pp. 58-59, Oct. 1987. S. Lefebvre, et al., "Measuring the efficiency of voltage reduction at Hydro-Quebec distribution," in Proc. IEEE Power Energy Soc. Gen. Meet. Convers. Deliv. Electr. Energy 21st Century, Pittsburgh, 2008, pp. 1-7. S. M. Moghaddas-Tafreshi and E. Mashhour, "Distributed generation modeling for power flow studies and a three-phase unbalanced power flow solution for radial distribution systems considering distributed generation," Electric Power Systems Research, vol. 79, no. 4, pp. 680-686, Apr. 2009. 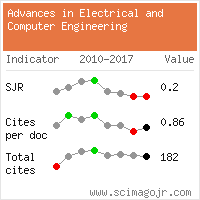 P. Wlodarczyk, A. Sumper, and M. Cruz, "Voltage Control of Distribution Grids with Multi-Microgrids Using Reactive Power Management," Advances in Electrical and Computer Engineering, vol. 15, no. 1, pp. 83-88, 2015. A. Bokhari et al., "Combined Effect of CVR and DG Penetration in the Voltage Profile of Low-Voltage Secondary Distribution Networks," IEEE Transactions on Power Delivery, vol. 31, no. 1, pp. 286-293, Feb. 2016. Standards Coordinating Committee 21, "IEEE standard for interconnecting distributed resources with electric power systems," Technology, IEEE, New York, July 2003. IEEE Standards Coordinating Committee 21, "IEEE standard for interconnecting distributed resources with electric power systems amendment 1," IEEE, New York, pp. 1-207, May 2014. A. Cagnano, E. De Tuglie, M. Liserre, and R. A. Mastromauro, "Online Optimal Reactive Power Control Strategy of PV Inverters," IEEE Transactions on Industrial Electronics, vol. 58, no. 10, pp. 4549-4558, Oct. 2011. R. J. Bravo, S. A. Robles, T. Bialek, "VAr support from solar PV inverters," in Proc. 40th IEEE Photovoltaic Specialists Conference, Colorado, 2014, pp.2672-2676. B. Bakhshideh Zad, H. Hasanvand, J. Lobry, and F. Vallée, "Optimal reactive power control of DGs for voltage regulation of MV distribution systems using sensitivity analysis method and PSO algorithm," International Journal of Electrical Power & Energy Systems, vol. 68, pp. 52-60, Jun. 2015. Z. Shen, M. E. Baran, "Gradient based centralized optimal Volt/Var control strategy for smart distribution system," in Proc. IEEE PES Innovative Smart Grid Technologies (ISGT), Washington, 2013, pp. 1-6. A. Castillo, P. Lipka, J.-P. Watson, S. S. Oren, and R. P. ONeill, "A successive linear programming approach to solving the IV-ACOPF," IEEE Transactions on Power Systems, vol. 31, no. 4, pp. 2752-2763, Jul. 2016. A. Padilha-Feltrin, D. A. Quijano Rodezno, and J. R. S. Mantovani, "Volt-VAR Multiobjective Optimization to Peak-Load Relief and Energy Efficiency in Distribution Networks," IEEE Transactions on Power Delivery, vol. 30, no. 2, pp. 618-626, Apr. 2015. W. Zhang, W. Liu, X. Wang, L. Liu, and F. Ferrese, "Distributed Multiple Agent System Based Online Optimal Reactive Power Control for Smart Grids," IEEE Transactions on Smart Grid, vol. 5, no. 5, pp. 2421-2431, Sep. 2014. Z. Wang and J. Wang, "Review on Implementation and Assessment of Conservation Voltage Reduction," IEEE Transactions on Power Systems, vol. 29, no. 3, pp. 1306-1315, May 2014. H. J. Liu, T. J. Overbye, "Smart-grid-enabled distributed reactive power support with conservation voltage reduction," in Proc. IEEE Power Energy Conf. Illinois, 2014, pp. 1-5. W. H. Kersting and W. H. Phillips, "Distribution feeder line models," IEEE Transactions on Industry Applications, vol. 31, no. 4, pp. 715-720, Aug. 1995. Y. Xu, W. Zhang, W. Liu, and F. Ferrese, "Multiagent-Based Reinforcement Learning for Optimal Reactive Power Dispatch," IEEE Transactions on Systems, Man, and Cybernetics, Part C (Applications and Reviews), vol. 42, no. 6, pp. 1742-1751, Nov. 2012. ***, "Load representation for dynamic performance analysis (of power systems)," IEEE Transactions on Power Systems, vol. 8, no. 2, pp. 472-482, May 1993. M. Diaz-Aguilo et al., "Field-Validated Load Model for the Analysis of CVR in Distribution Secondary Networks: Energy Conservation," IEEE Transactions on Power Delivery, vol. 28, no. 4, pp. 2428-2436, Oct. 2013. I. Khan, Z. Li, Y. Xu, and W. Gu, "Distributed control algorithm for optimal reactive power control in power grids," International Journal of Electrical Power & Energy Systems, vol. 83, pp. 505-513, Dec. 2016. C. Ahn and H. Peng, "Decentralized Voltage Control to Minimize Distribution Power Loss of Microgrids," IEEE Transactions on Smart Grid, vol. 4, no. 3, pp. 1297-1304, Sep. 2013. A. Maknouninejad and Z. Qu, "Realizing Unified Microgrid Voltage Profile and Loss Minimization: A Cooperative Distributed Optimization and Control Approach," IEEE Transactions on Smart Grid, vol. 5, no. 4, pp. 1621-1630, Jul. 2014. ANSI C84.1-2006, "American National Standard for Electric Power Systems and Equipment," Natl. Electr. Manuf. Assoc., pp. 1-24, Dec. 2006. Z. Wang, M. Begovic, and J. Wang, "Analysis of conservation voltage reduction effects based on multistage SVR and stochastic process," IEEE Transactions on Smart Grid, vol. 5, no. 1, pp. 431-439, 2014. R. C. Dugan, T. E. McDermott, "An open source platform for collaborating on smart grid research," in Proc. IEEE Power Energy Soc. Gen. Meet., Detroit, 2011, pp. 1-7. W. H. Kersting, "Radial distribution test feeders," IEEE Transactions on Power Systems, vol. 6, no. 3, pp. 975-985, Aug. 1991. IEEE 13 node test feeder, IEEE Power Engineering Society, 2010, p. 11. J. A. Jardini, C. M. V. Tahan, M. R. Gouvea, S. U. Ahn, and F. M. Figueiredo, "Daily load profiles for residential, commercial and industrial low voltage consumers," IEEE Transactions on Power Delivery, vol. 15, no. 1, pp. 375-380, Jan. 2000. K. M. A. Ali, R. David, "Adaptive multi-objective optimization for power loss minimization and voltage regulation in distribution systems," in Proc. Eighteenth International Middle East Power Systems Conference, Egypt, 2016, pp. 2-7. Citations for references updated on 2019-04-24 10:41 in 253 seconds. Website conception, design and maintenance by Eugen COCA. Content updated on 28 Feb 2019. Site engine updated on 28 Feb 2019. This page was generated on the server in 0.020 seconds and loaded in your browser in > seconds.